The apartment for a young parisian family results from the combination of two identical overlapping apartments with double exposure. Bedrooms are gathered on the lower floor and protected from neighboring noise while the social upper floor benefits from unobstructed views of Paris. 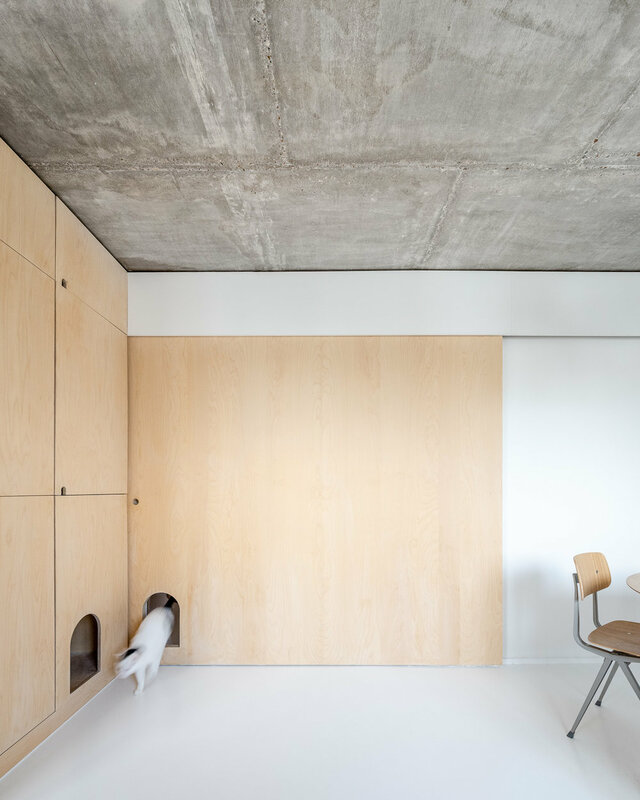 The main level is designed as a single open space within which areas are defined by a shared material set of baltic birch plywood, white resin and existing concrete. The eat-in kitchen can be partitioned off using a large sliding wall. The main floor is home to the family cat entering his house through dedicated arched openings within the kitchen sliding partition and cabinets. 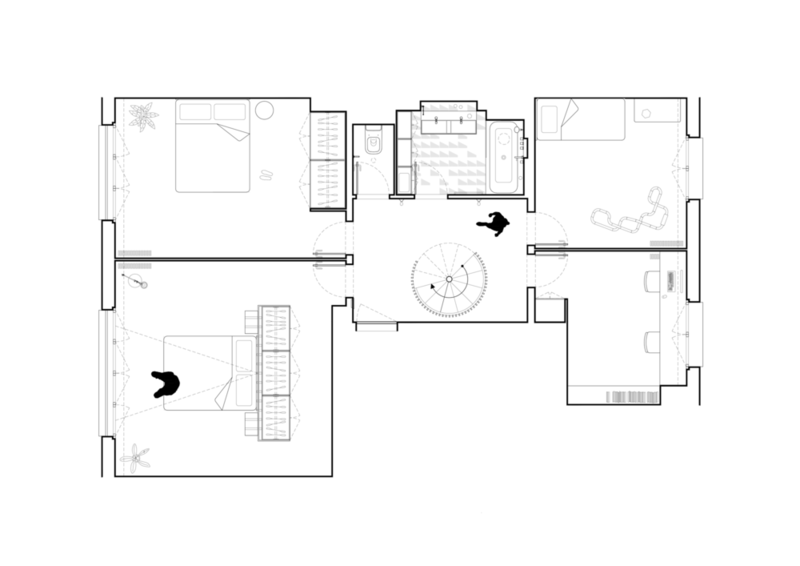 A curved door around the spiral stairs helps keep him away from the private rooms below. Pegboard walls in the entrance, living room and master bedroom allow for flexible display and storage.